For over 35 years, Arcuri Stables has dedicated itself to maintaining it's reputation as one of the leading all-around Morgan and Saddlebred stables in the world. Competing in English, Western, Halter, Hunter, and Driving, Arcuri Stables has received over 150 World and Reserve World Championships, 'Trainer of the Year' three times, 'Trainer of the Decade' , and 'Pyramid Trainers of the Year'. Along with first-class training facilities, Arcuri Stables offers consulting services, breeding services. Three time recipient of the "Trainers of the Year" award. Winner of all four major Open World championships: Open Park Saddle, Park Harness, English Pleasure, Pleasure Driving. Pleasure Driving World Championship with Festival Calypso, Rampage and Dragonsmeade Carnegie Hall. 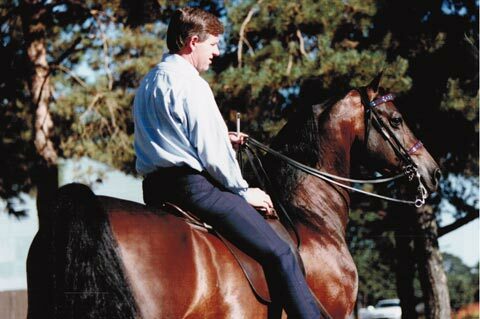 World Championship titles in both the Morgan and Saddlebred industries.